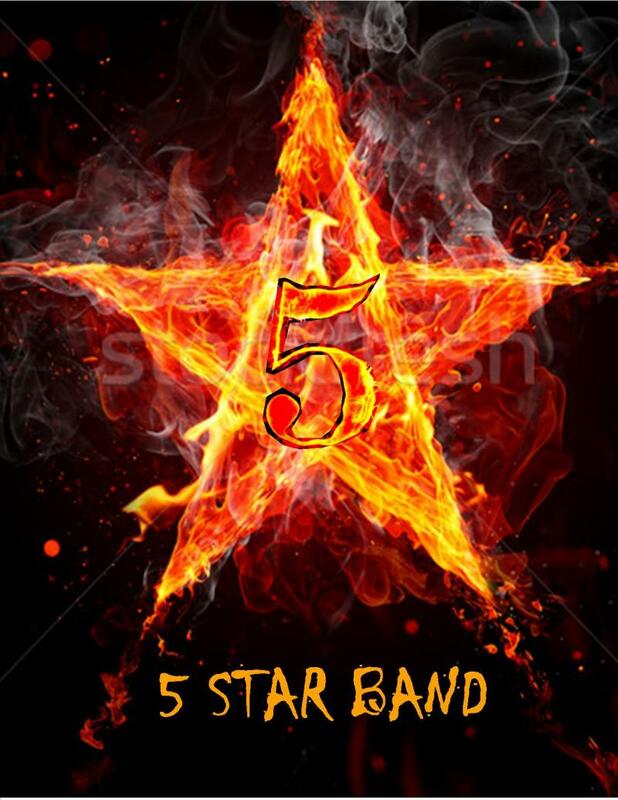 5STARBAND.INFO - 5 Star Band Left To Right Tony,Skip,Craig,Tracy HEAR and see THE BAND LIVE on our Video Gallery Page ! !﻿ Check out our new 5 Star Band Buttons!! Be sure to ask the band for one!! Check out our new 5 Star Band Buttons!! Be sure to ask the band for one!! 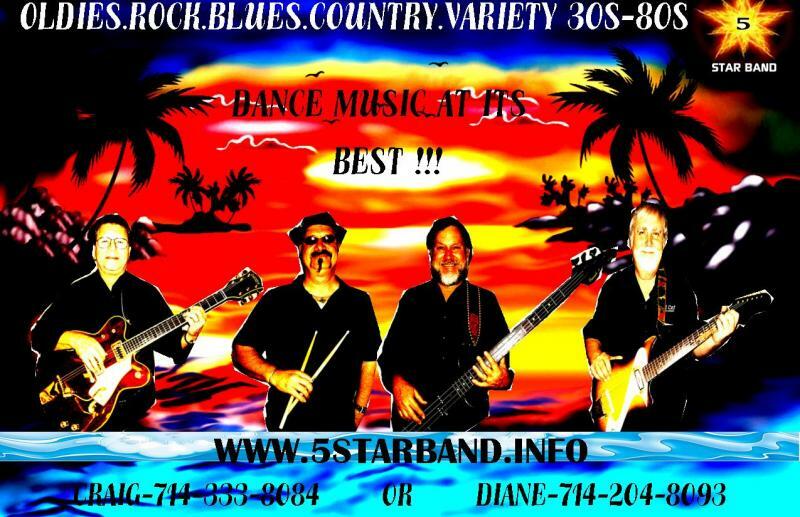 A little about the 5 Star Band! Hello From The 5 Star Band! ﻿ Hello from The 5 Star Band! and welcome to our band site! Please see our video page for upcoming new videos! We have exciting venues coming up for March & April! 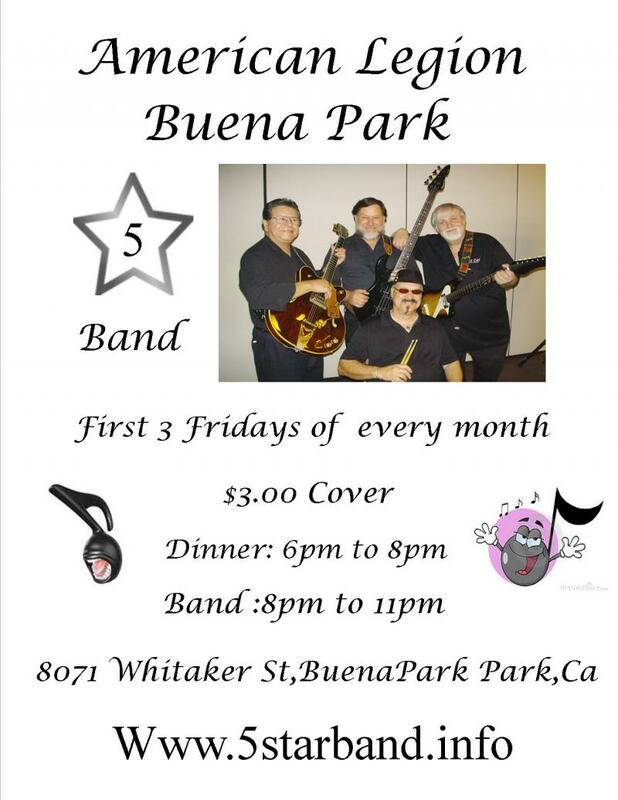 We will also be performing at the Fullerton Elks on March 15th Friday 6pm to 10pm enterance is 2 drink min, or dinner. 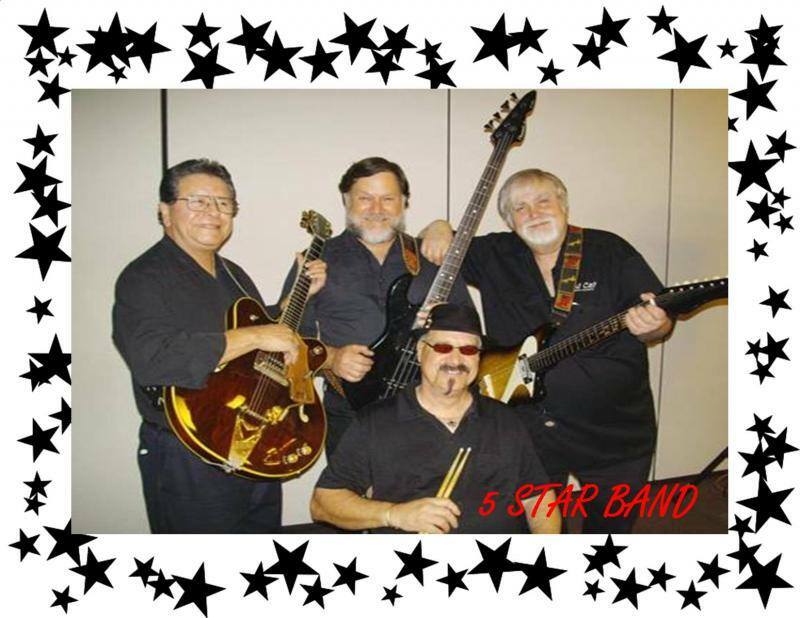 We Also are playing at The Garden Grove Elks on March 22nd 6pm to 10pm. Please Call for R.S.V.P. 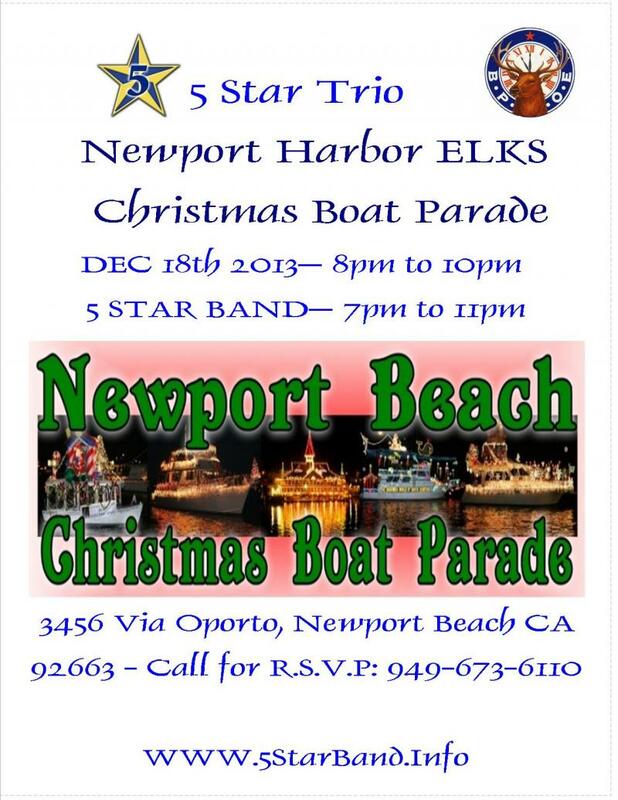 For both Fullerton & Garden Grove Elks. 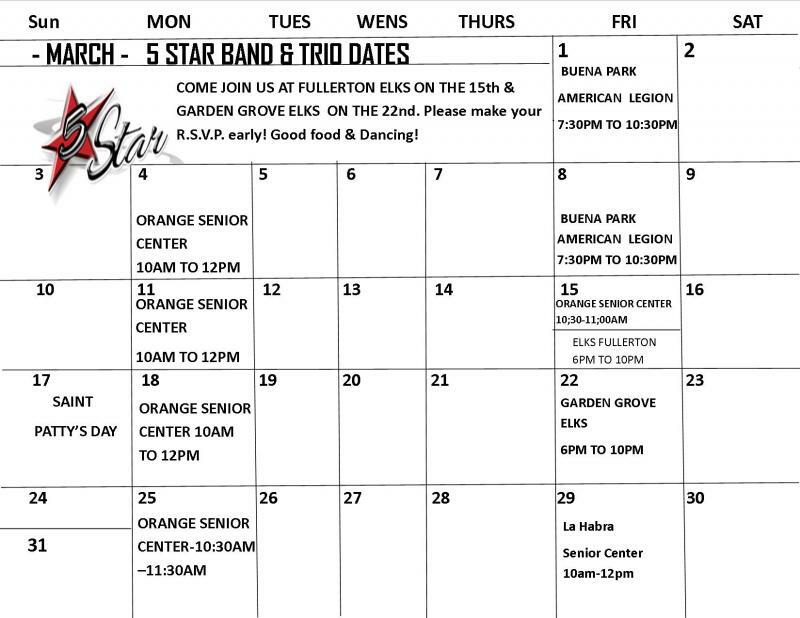 Also we are at La Habra Senior Center on March 29th 10am to 12pm. 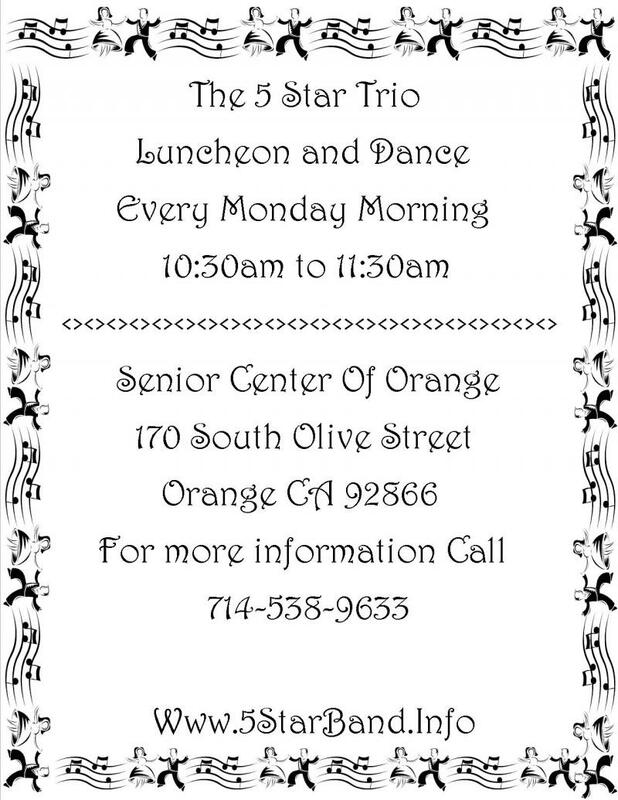 Every Monday the Trio will be playing for the Orange Senior Center 10:30am to 11:30am. And also for a Saint Pattys Party March 15th ﻿at Orange Senior Center, same timing. 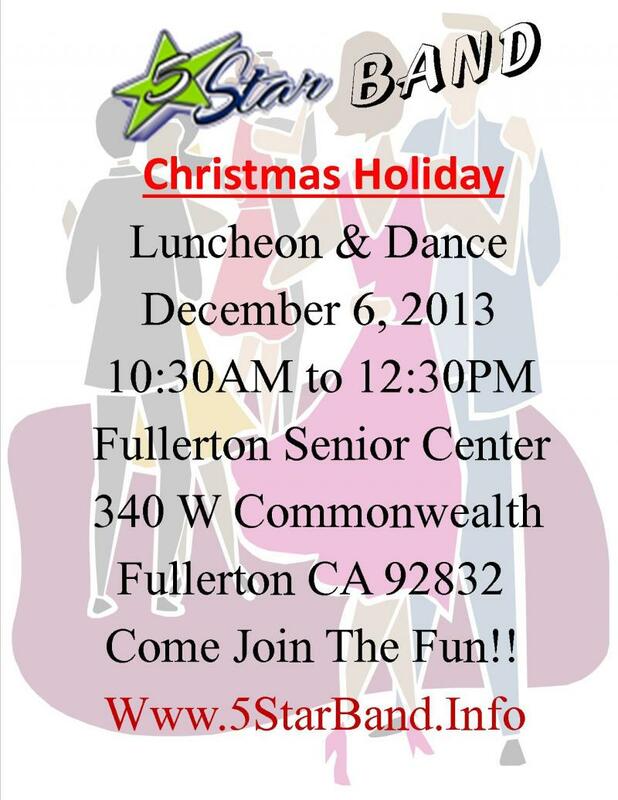 Come listen to our great oldies dance music! Please see our monthly Calendars below. DANCE MUSIC AT ITS BEST! TO MAKE CALENDARS LARGER RIGHT CLICKING ON YOUR MOUSE AND OPENING IN NEW TAB. THE NEW TAB TO CLICK ON WILL APPEAR AT THE VERY TOP OF YOUR SCREEN.